Computer GK Sample Question Paper No. 9: Computer GK Sample Question Paper No. 9 as part of Computer GK Sample Papers for Competitive Exams, PSU Exam, State Govt & Central Govt. Examinations held each years. Here is Sample questions asked based on Computer GK in various exams. Q. 161 Google is a ........ ? Q.162 where are programs and data to be used by the computer available? Q.166 What is the commonly used unit for measuring the sped of data transmission? 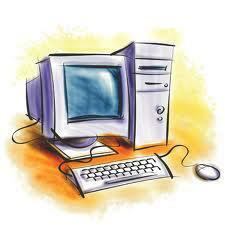 Q.167 Which one among the following is not included in the basic functions of operating system?